The name of Bangabandhu cannot be removed from our history because he has remained active in all important events of Bangladesh. Bangabandhu did politics for the better of general people. At that time, he could spend his time and money with his family members but he did it for Bangladeshi people. There are lots of reasons Sheikh Mujibur Rahman is regarded as a father of the nation. I have enlisted some of them here. I on behalf of our people announce that this land of Bengali will be called "Bangladesh". Before that day, Bangabandhu Sheikh Mujibur Rahman also mentioned the name “Bangladesh” several times in various events. # Six-point Programme/ Movement: In 1966, the Awami League Chief Sheikh Mujibur Rahman presented his famous 6-Points Formula of demands for autonomy of East Pakistan in economic, political, administrative, para-military and cultural terms. It was an actually spark that created a massive fire for our freedom. # General Election: In 1970, Awami League under the leadership of Bangabandhu won a landslide victory in the National Assembly. People from all over Bangladesh, from Teknaf to Tetulia, gave their votes to run the government. The liberation war broke out after military rulers in Pakistan refused to hand over power to majority Bengali politicians led by Sheikh Mujibur Rahman. # 7th March speech: The fiery speech inspired the freedom-loving people of Bangladesh to take an active part in the Liberation War in 1971. The historic speech has been included in the Memory of the World International Register managed by UNESCO. The 7th March speech was recommended by the International Advisory Committee (during its meeting from 24 to 27 October 2017) for inscription on the Memory of the World International Register (a list of world’s important documentary heritage). The world will know more about our glorious history and Bangabandhu. His thunderous voice changed the course of history and created a new country. 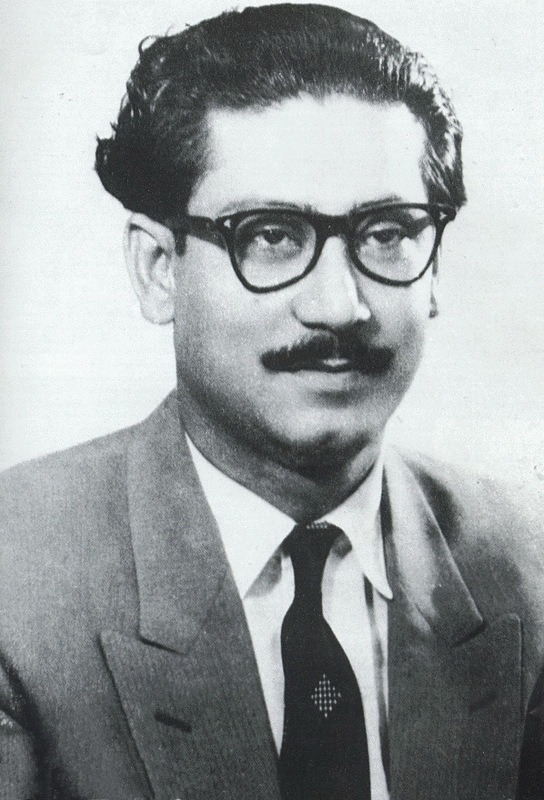 Bangabandhu is the architect of the country's independence. # Declaration of Independence: During the early hours of March 26, Bangabandhu Sheikh Mujibur Rahman declared the independence of Bangladesh in a message form before he was arrested by the Pakistani army. Bangladesh was born through a nine-month struggle in 1971. # Mujibnagar Government: The revolutionary government was named Mujibnagar government in honour of Bangabandhu. The Provisional Government of the People's Republic of Bangladesh was founded by his trusted people who successfully ran the liberation war in 1971. # National Anthem: 'Amar Sonar Bangla...’, the poem of Rabindranath Tagore, was selected as the national anthem of Bangladesh for his (Father of the Nation) likings. # Joy Bangla: Joy Bangla (May Bangladesh be victorious) slogan was taken by Bangabandhu from the writings of national poet Kazi Nazrul Islam. The slogan was widely uttered during our liberation war.